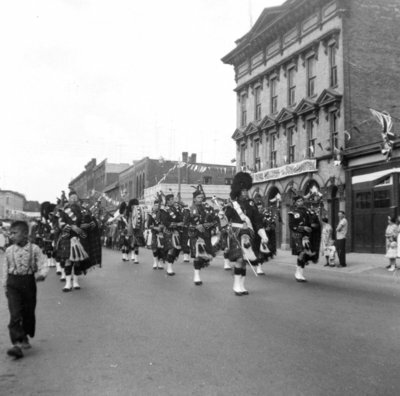 Black and white photograph showing a pipe band marching south on Brock Street during the Whitby Centennial parade. The old town hall at Brock and Colborne Streets is at right. Whitby Centennial Parade, July 1, 1955, unknown photographer, Whitby Archives, 30-012-110.